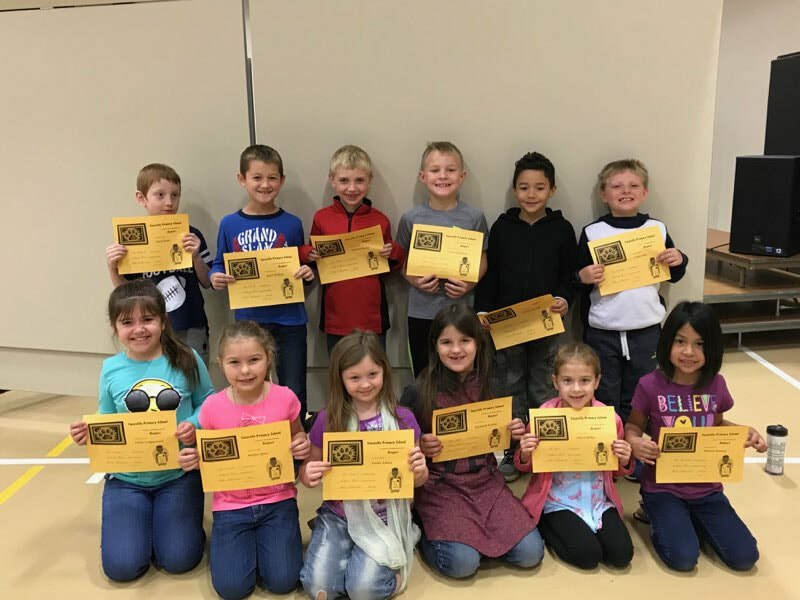 Cassville Primary School recently awarded their Character Kids for the month of November. During the month of November, teachers nominated students for exhibiting the character trait of respect. November’s kindergarten winners are pictured above, from left to right. Front row: Aleah Williams, Reagan Truman, Harmony Peak, Ke’alani Bruton, Addaline Lakey and Lilly Ashwell. Back row: Remington Stehlik, Brittain McGuffey, Carter Stringer, Diesel Beranek, Roper Wiseman, Hunter Nickol and Bentley Pinnell. 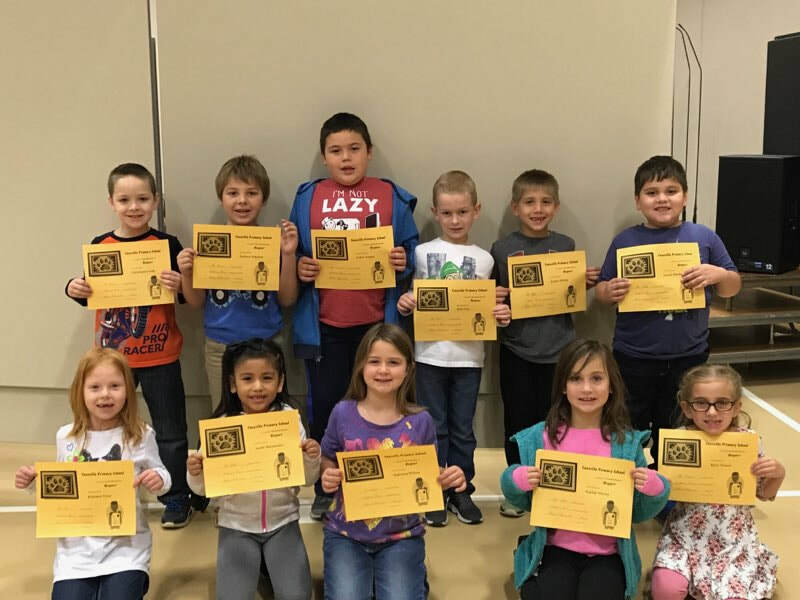 Cassville Primary School recently awarded their Character Kids for the month of November. During the month of November, teachers nominated students for exhibiting the character trait of respect. November’s first grade winners are pictured above, from left to right. Front row: Kierstan Tiner, Anahi Hernandez, Makenna Wilson, Kaylan Marler and Riley Doucet. Back row: Christopher Fulk, Zackary Scharrer, Aiden Vargas, Hale Cox, Kellen Weldy and Josiah Meshell. 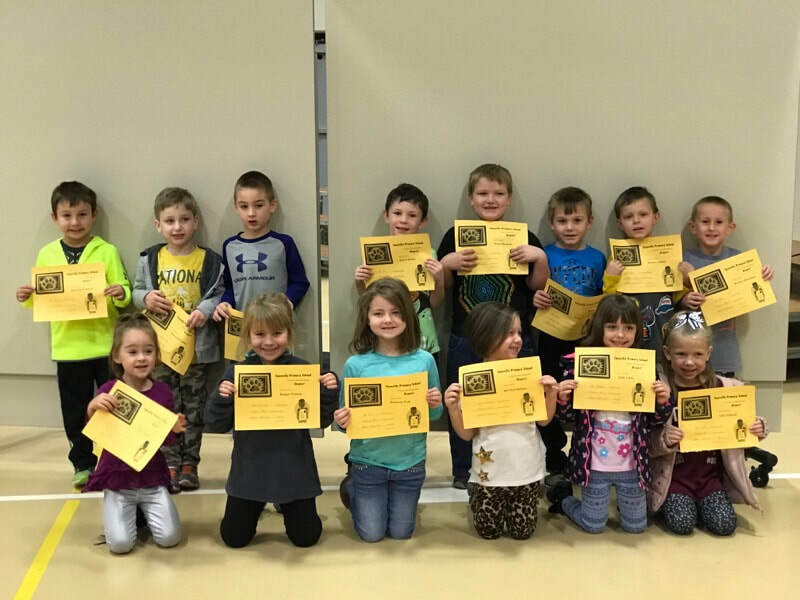 Cassville Primary School recently awarded their Character Kids for the month of November. During the month of November, teachers nominated students for exhibiting the character trait of respect. November’s second grade winners are pictured at left, from left to right. Front row: Chloe Ledgerwood, Kailyn Speer, Emma Adams, Elizabeth Hunter, Olivia Miller and Monica Serrano. Back row: Orion Koory, Jaxon Winfrey, Jameson Barnes, Carson Hutchens, Owen Edwards and Caiden Edie.